Mutant fir tree near Chernobyl. Mutated growth in a fir tree in the contaminated area following the Chernobyl nuclear power station disaster. On 26 April 1986, a reactor went out of control at the Chernobyl nuclear power station, Ukraine, leading to meltdown and an explosion. Around 1000 square kilometres of land were directly contaminated by radioactive fall-out of heavy elements. 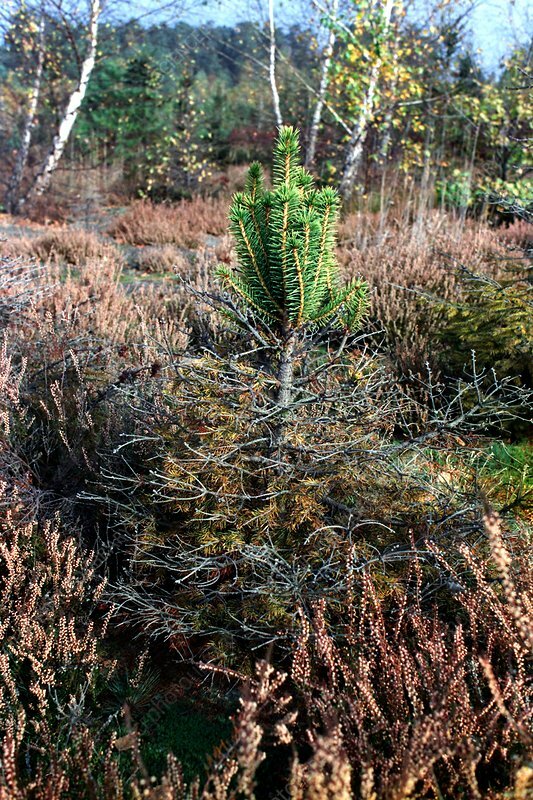 This fir tree has a deformed trunk and branches, enlarged needle mass and length, and chlorophyll deficiency. Photographed in 1989.